Over 30,000 participants descend on the streets Of Patras each year following year-long preparations. Dress up and take part in Greece's most famous carnival festivities. 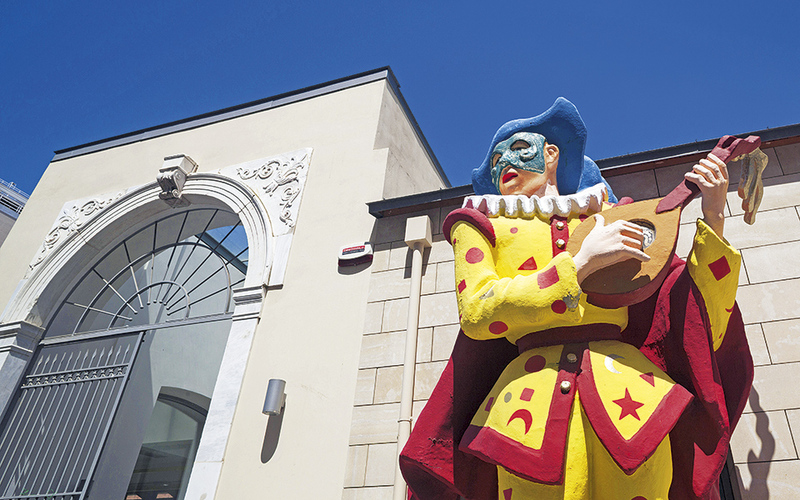 Patras is Greece’s main attraction for the carnival season or Apokries. No other local carnival event has ever outdone the Patras event in terms of size. Although floats first appeared in the parades in the western port city in 1870, locals had begun celebrating the carnival season with quadrilles and other dances, from around the mid-19th century. Over 30,000 participants descend on the streets each year following year-long preparations. From the beginning of the Triodion, or pre-Lenten period, until Clean Monday, when the seven weeks of Lent begin, the city is filled with dancing and music. Numerous events, masquerade balls, street theater and exhibitions pave the way for the culmination of proceedings during the Clean Monday long weekend. There’s also a treasure hunt. Accompanied by ensembles, carnival participants march holding fire-lit torches. Over 15,000 children take part in the youth grand parade (Megali Parelasi) on Omonia Square. Proceedings during the final three days attract up to 100,000 spectators. This year, the impressive nighttime parade of floats in the city center will take place on Friday, February 24, their crews will parade along Korinthou St on February 25, and the grand parade will be held on Sunday,February 26, when the curtain falls on the festival with the spectacular burning of the Carnival King at the port (Agiou Nikolaou St pier), in an act that marks the beginning of Lent. At Rethymno masks created by 100 artists are on display until March 20. The voice of the town crier echoes in villages across the prefecture, also named Rethymno, announcing the start of the Rethymno carnival, Greece’s second largest. Some 15,000 persons participate in the festival in the Cretan city that attracts up to 100,000 spectators. Every year, from the beginning of the pre-Lenten Triodion period, Rethymno’s old quarter is transformed as carnival participants play treasure hunt and choirs from Rethymno and neighboring towns revive the old kantada (serenades) custom, filling the city’s charming alleys with melodies. The festivities this year got underway on March 1, and the routine will be repeated on March 11. At the Spiti Politismou (cultural centre), masks created by 100 artists are on display until March 20. Hundreds of carnival participants ride bikes during a major bicycle parade at Agnostou Stratioti Square on March 10. 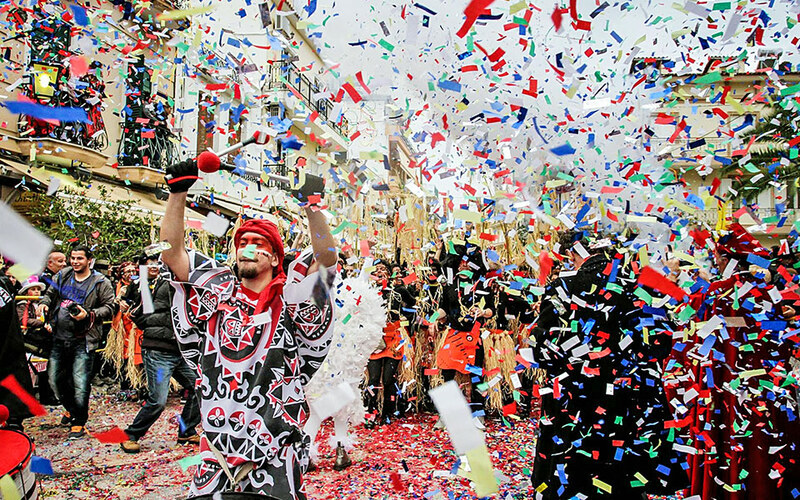 Six months’ preparation goes into the Rethymno carnival, which culminates in three big parades. On Saturday, February 25, a children’s afternoon parade starts off from Kountourioti Ave, while a nighttime parade follows, beginning at the Theotokopoulou junction. Featuring floats and lots of participants, the grand parade, which also starts from the Theotokopoulou junction, is expected to be the biggest ever in the carnival’s 102-year history. It takes place on February 26. Later that night, as is customary, the Carnival King float will be torched at the beach. A lively party, featuring lots of music and a fireworks display, will follow. Carnival in Zakynthos has a Venetian touch. 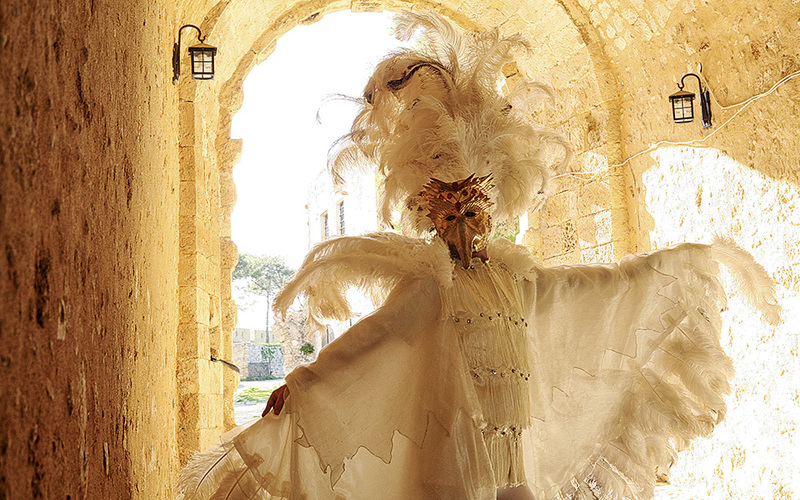 Carnival on the Ionian island of Zakynthos has a Venetian touch. Customs dating back to the 16th century are revived annually in the island’s main town, the most popular being the Venetian wedding reenactment, scheduled for February 25 at Agios Markos square. A bridal procession passes through the town’s historic center, accompanied by musical ensembles from the neighboring islands. Locals can always be relied on to teach visitors dance moves for the traditional celebration on February 24, when the streets become the floor for rosetta, polkas, waltzes, redowas and quadrilles. Dancers dress in carnival attire for the occasion. Omilies (speeches), a type of street performance fusing Cretan theater (from the 13th–17th centuries) and Commedia dell’arte (improvised comedy from the 16th–18th centuries, popular in Italy and beyond), are also staged on these days. It all ends with a surrealistic mock funeral, with revelers dressed as mourners, for the Carnival King on February 26 (Analipsis Sq), marking the end of carnival. Once the carnival season is over, locals hang lettuce and onions from the belfry of Zakynthos cathedral, symbolizing the beginning of the fasting period. Upon the carnival season’s conclusion, on the night of February 26, an old lettuce-and-onions custom is revived. Zakynthians hang lettuce and onions onto their Metropolitan Church’s bell tower, symbolizing the initiation of the fasting period. Events include the Picolo Carnival (19/2), a parade involving thousands of young carnival participants.